Installing custom forms from the Microsoft Application farm isn't hard. 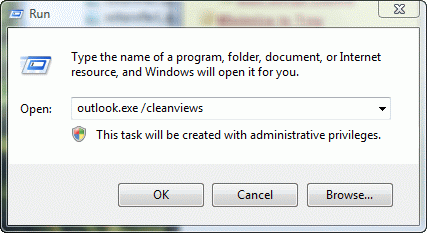 In most cases, it's as easy as opening the form, or was until Outlook security was tightened down. Now you need to publish the forms yourself. It's still easy but requires a few more steps and a few minutes of your time. The pst opens in your profile. Double click on the form visible in the folder – it usually has installation instructions which are slightly different than mine, although both end up with the same result. 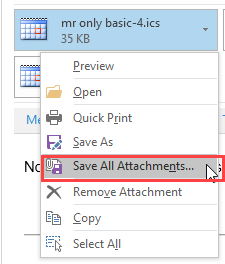 Select the forms folder in Outlook and look on the Actions menu. 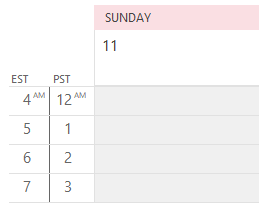 You should see the form name if the form is published to the selected folder. Click on it to open the form. 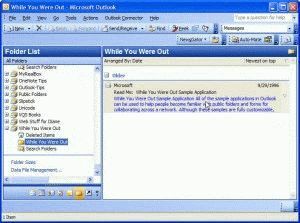 It may take a few seconds while Outlook installs the form. It may ask if you want to publish the forms definition. In most cases, no, you don't want to publish the definition. However, others won't see the form unless they have it published or it's in Exchange Server's organizational forms library. 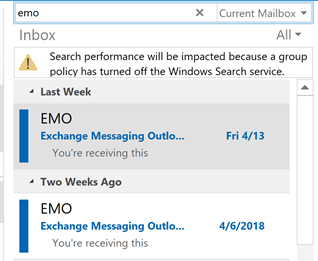 Click on the Look in list and find the Inbox folder. 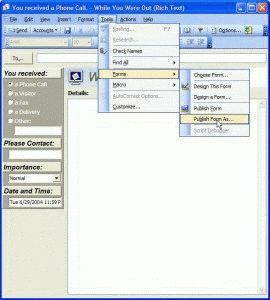 Type the form name in the Display name and form name fields and press Publish. When you want to use the form, look for the form on the Actions menu when you have the Inbox folder open. 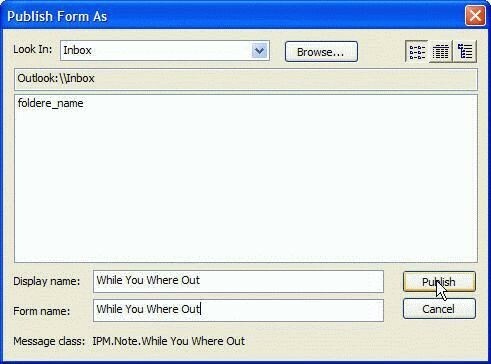 If you are sharing the form with other users on your Exchange server, install the form to the Organizational forms library so everyone can use it. To install it to the Organizational forms library, select it from the Look In list. You'll need to open it using Tools, Form, Open Form menu when it's in the Organizational forms library. Published January 16, 2011. Last updated on August 15, 2012.